News today from the “Wait, really?” department: War For The Planet Of The Apes director Matt Reeves is still out here acting like his standalone Batman movie, The Batman, is something that will ever actually exist. Reeves gave an interview to The Hollywood Reporter this week in support of said delusion, vaguely discussing the hypothetical movie’s hypothetical rogues gallery—noting that, “You can’t have Batman without a villain”—and blithely swanning past the fact that you also can’t have a Batman without a Batman, or at least a leading man so checked out that he’s not even visible from the hotel anymore. 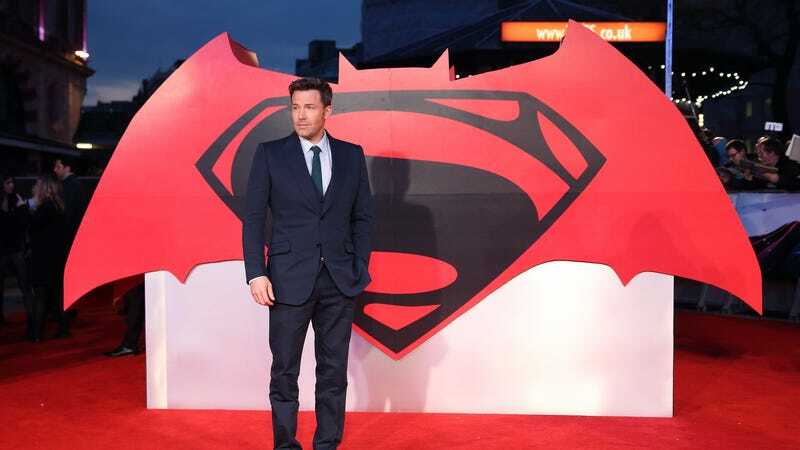 In fact, Reeves completely avoided discussing the Affleck in the room, or the fact that the post-Justice League DC Extended Universe has been steadily fracturing into a series of individual movie realities, many of them presided over by their own artisanally crafted Joker. (He’s previously said that his movie won’t take part in the whole cinematic universe hullabaloo.) Instead, Reeves is out here joking about Josh Gad’s efforts to get himself cast as the movie’s version of The Penguin, even though we’re pretty sure Gad would have a better shot at playing the role if he just identity thefted Robin Lord Taylor, then snuck on to the set of Gotham instead. It’s not like we’re naive enough to think that another Batman movie is never going to happen, or that DC superhero movies are de facto dead—especially given the recent box office success of Aquaman. It’s just that this Batman movie, which started out as a directorial project for star Ben Affleck, back before the Dark Knight light began steadily draining out of his eyes, seems like it’s maybe probably cursed? Reeves is a talented director with a rising career, so there’s something a little melancholy about watching him pursue such obvious folly, even if his concept for the film does sound pretty cool: “It’s very much a point of view-driven, noir Batman tale. It’s told very squarely on his shoulders, and I hope it’s going to be a story that will be thrilling but also emotional. It’s more Batman in his detective mode than we’ve seen in the films.” He also noted that he’s planning to have a whole bunch of classic Batman villains in play, which is the sort of thing we’d idly imagine while daydreaming about making a Batman movie, too.